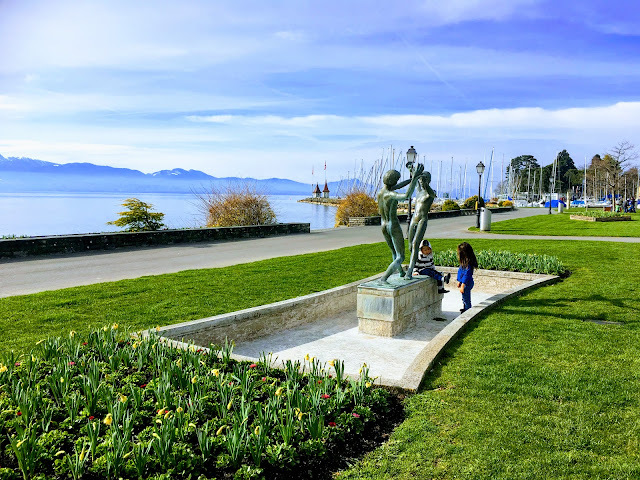 Morges is a beautiful lakeside town with a chateau and promenade along Lake Geneva. 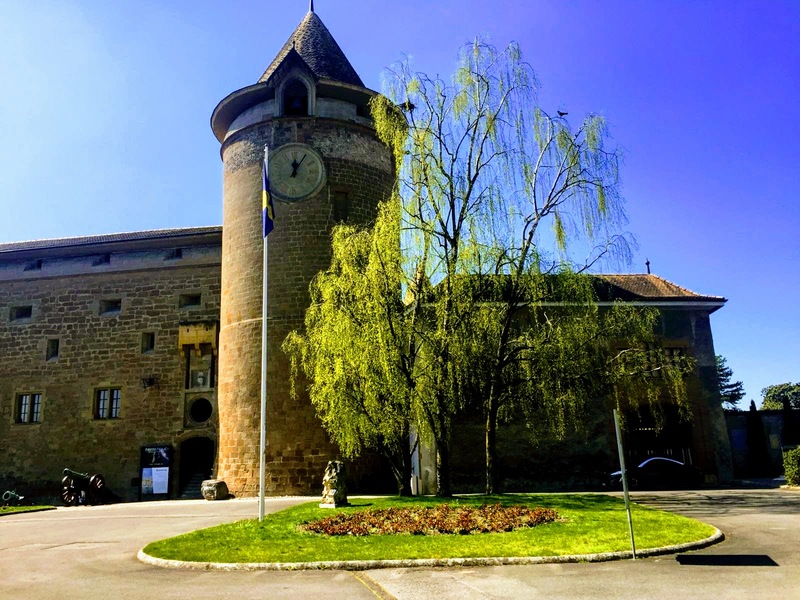 It is a town that we venture to several times a year just for their Saturday morning market with stunning views of the Alps across from the lake and well manicured gardens lining it's walkways. But, during the annual Tulip festival it really blossoms and comes alive. After a long Winter it is a wonderful way to jump into Spring. 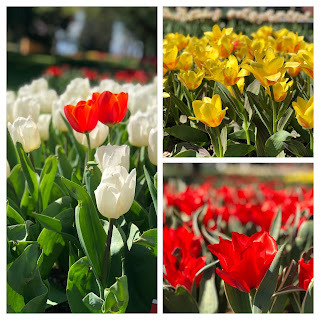 The gardens surrounding the chateau are well manicured and labeled by the variety of tulip of which is inside the flowerbed. 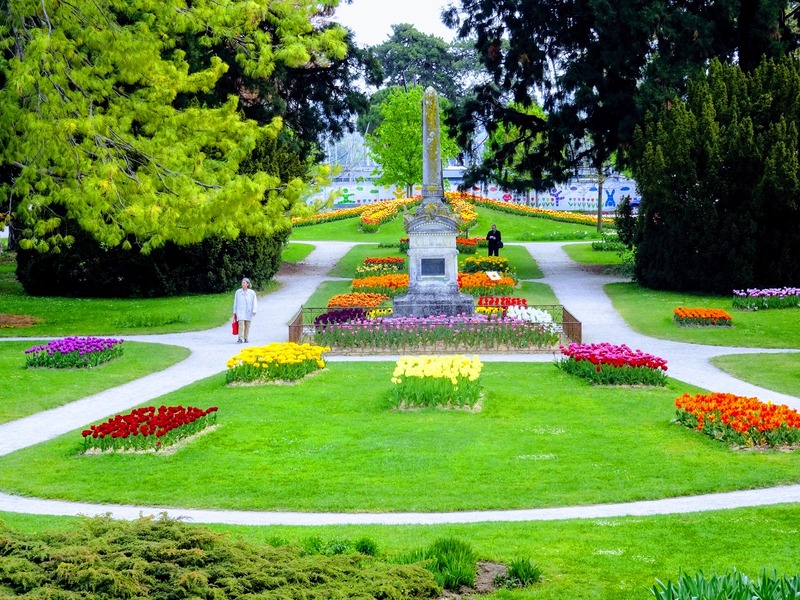 Some of the beds are planted in patterns or look like country flags or symbols. 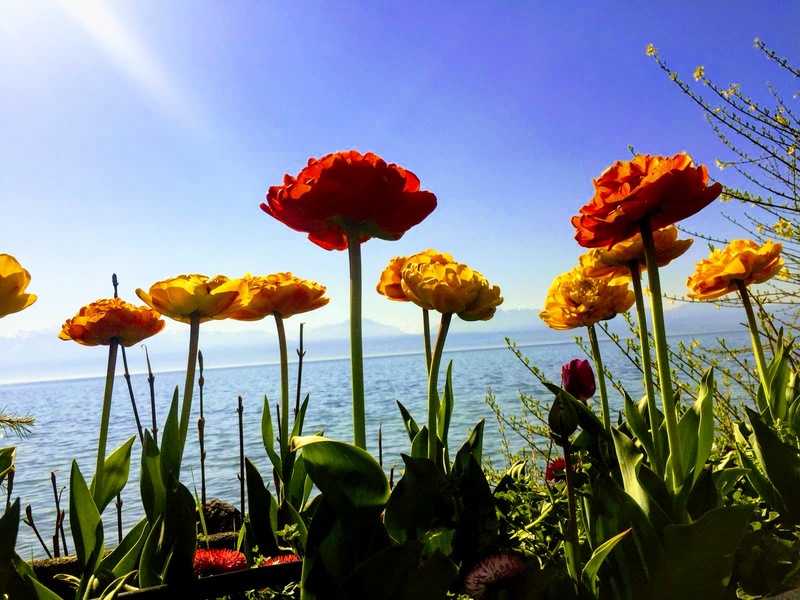 On the other side of the chateau there are fewer beds of flowers, but a promenade along the lake with tulips lining either side of it and more views of the Alps in the distance. Just behind the lakeside promenade there is a pedestrian only street lined with shops and restaurants. We always enjoy walking up and down this street along with walking up and down lake. For More Photos of Morges and the Tulip Festival Click Here. To View Details of a Child Friendly Hike That Ends In Morges Click Here. 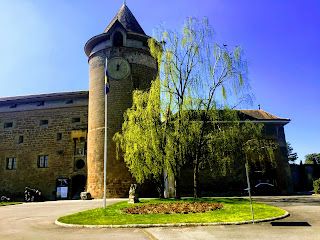 To View Details of a Section of National Hiking Route 3 That Ends in Morges Click Here.